Everybody loves having naturally beautiful, young-looking skin -- that's why skin care and skin whitening products and supplements remain one of the world's best-selling items. However, not all products are made equal. Top quality skin care creams and powders are often available at premium prices, with guaranteed effective and enviable results. And while there are cheaper brands available in the market today, the result is either a hit or miss. 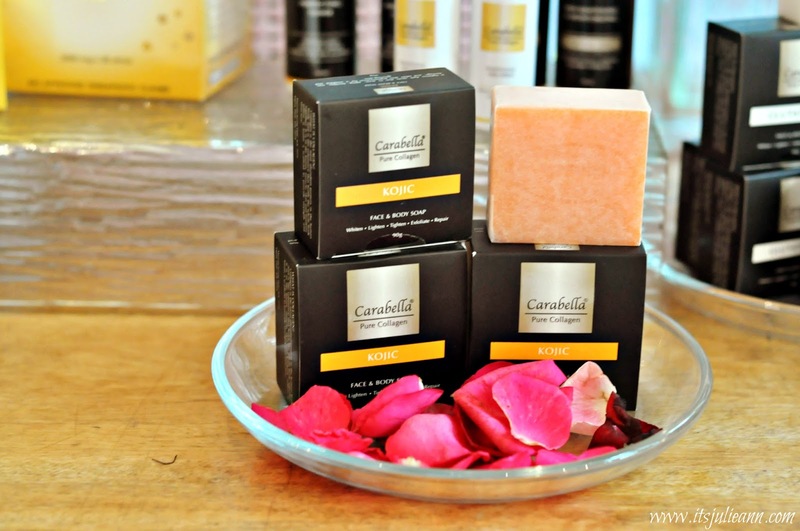 Carabella, from the Spanish word for “face” and the Italian word for “beautiful” aims to dispel this by offering an option for Filipinas who wanted to achieve that beautiful, naturally-fair skin without burning a hole on their budget. 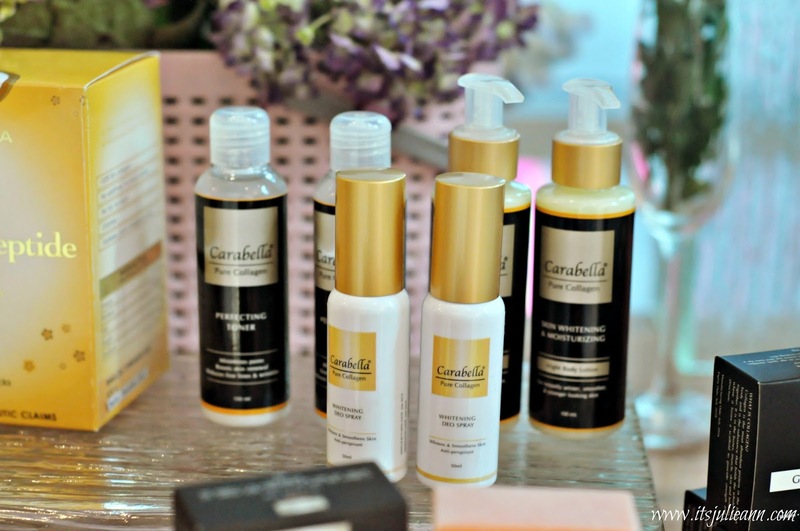 As the latest skin care and skin whitening brand, Carabella is differentiating itself from the many skin care brands in the market by bringing in the best ingredients from Japan while utilizing Filipino ingenuity and technology. All Carabella products, except for the best-selling Belleieshua Pure Collagen Supplement Drink, is made locally in the Philippines. The company also hopes to tap to the mid-market segment by offering their products at consumer-friendly prices. “We noticed that there’s a dearth in the market today on reliable, effective, high-quality skin care products but at more affordable prices. Carabella wanted to change that. Our collagen is sourced directly from Japan because that's where the best skin care ingredients come from. Our goal is to assure Filipinas that they do not have to spend more just to be beautiful. Carabella is here for them," shares Reynaldo Ignes, the president and managing director of GoldenRey Marketing, the company behind Carabella. Using the purest form of collagen as its main ingredient, Carabella is offering a diverse line of products focused on skin whitening and anti-aging: the best-selling Pure Collagen Soap with Kojic Acid (Php 160 for 90g and Php 220 for 150g); Pure Collagen Soap with Glutathione (Php 170 for 90g / Php 260 for 150g); Pure Collagen Cream to Powder (Php 680 for 15g jar / Php 1,200 for 30g jar); Pure Collagen Cream with Elastin and Alpha Arbutin (Php 280); Pure Collagen Placenta Cream with SPF30 (Php 280); Pure Collagen Bleaching Night Lotion (Php 390); Pure Collagen Day Lotion (Php390); Pure Collagen Perfecting Toner (Php 530); Deo Whitening Spray (Php 490) and Belleieshua Pure Collagen Drink (Php 3,300). ótima dica de produtos, um variedade incrível. Nice products, I just followed you as requested, please follow back. Produtos maravilhoso amei o resultado lindo cabelo, obrigada pela visita, bom final de semana. Hi Julie! Thanks for visiting my blog! I'm allready following you, would you follow me back? Nice post! You have an amazing blog! Adorei os produtos e não conhecia o produto e marca! !